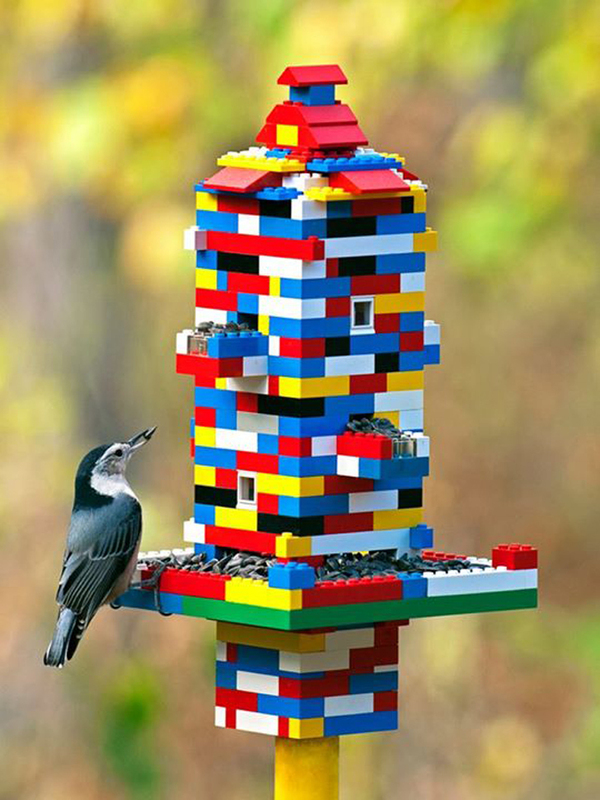 LEGO bird feeder combines love of birds and bricks! If you think winter is for the birds, flock around your LEGO stash as a family to construct a DIY bird feeder that’s sure to make wings flap straight into your yard for your viewing pleasure. Gary Mueller constructed the colorful and functional feeder above as an entry in the Project Feederwatch Birdspotter competition. Of course the White-breasted Nuthatch perching for a bite is equally as compelling. If you tackle this project and want to continue to pair feathered friends with LEGO, check out this limited-edition LEGO birds set. If you think winter is for the birds, flock around your LEGO stash as a family to construct a DIY bird feeder that's sure to make wings flap straight into your yard for your viewing pleasure. Gary Mueller constructed the colorful and functional feeder above as an entry in the Project Feederwatch Birdspotter competition. Of course the White-breasted Nuthatch perching for a bite is equally as compelling. If you tackle this project and want to continue to pair feathered friends with LEGO, check out this limited-edition LEGO birds set.